Eda joined the Banking & Finance team at Pekin & Pekin in 2014. Currently as a Partner with the Banking & Finance team, Eda advises and represents both international and local clients including regulatory issues as well as cross border financings and contracts subject to Turkish Law from a wide range of sectors such as finance, energy, infrastructure, defence and transportation. She has been involved in advising on Islamic finance, project finance, acquisition finance and other banking & finance transactions and PPP projects and advised various banks, financial institutions and investment companies. 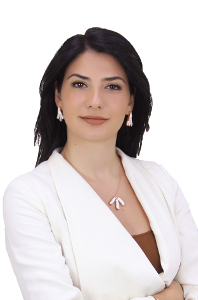 Prior to joining the Pekin & Pekin Banking & Finance team, Eda gained experience in several leading Turkish law firms, where she developed her expertise in energy, infrastructure and finance industries. Eda has also advised local and multinational clients operating in energy including renewable and nuclear energy, healthcare, mining, infrastructure, and construction. She has been involved in the advisory team of one of Turkey’s Nuclear Power Plants and advised in development, construction and power purchase agreement matters. Additionally, she took part in negotiations of the second nuclear power plant in relation to intergovernmental and host government agreements. Eda holds an LLM degree in business law from Istanbul Bilgi University specializing on factoring transactions and problems in the Turkish market in her thesis. In the course of her undergraduate and masters studies Eda was involved in the publication of various international academic studies. She is a member of the Willem C. Vis Commercial Arbitration Moot Alumni Association, holding the Martin Domke Award and coaching several moot teams of reputable Universities in Turkey as well as sitting as an arbitrator at the Willem C. Vis Commercial Arbitration Moot ever since. Eda is a member of the Young International Arbitration Group of the London Court of International Arbitration and she is fluent in English and German. You may contact Eda Beltan using the form below.